Still waiting on Baby Brother to arrive. Hopefully just about 10 more days...or less. I loved your last post. And you do look great!! Congrats on baby #3... My LEAST favorite thing people said to me when I was pregnant w/my son was what they didn't say, just the BIG EYES when I said I was only 20 weeks along. Maybe it was too much DQ?? Oh my--you STILL haven't had that baby yet? You look ready to pop--but the good news is, you do look like you have dropped some. Are you dilated at all yet? Well, enjoy it while you can, because you are so going to have your hands full with 3! Ba ha ha ha ha. Couldn't resist the jokes! In all seriousness, you look BEAUTIFUL! I know you are ready to meet that sweet baby boy. Oh, you look so pretty! 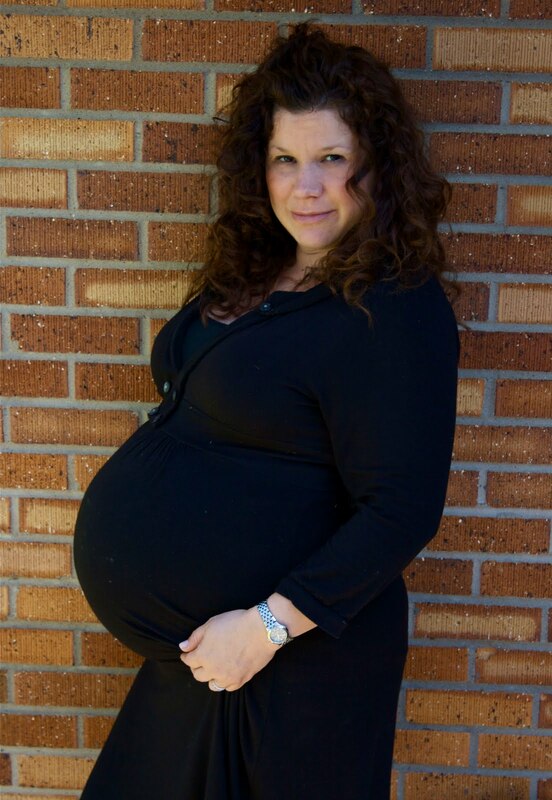 Thanks for sharing a super-prego picture. Hang in there, almost to the finished line!